Founded 1920 in Greenville, Miss., by Divine Word Missionaries. Moved to Bay St. Louis, 1923. 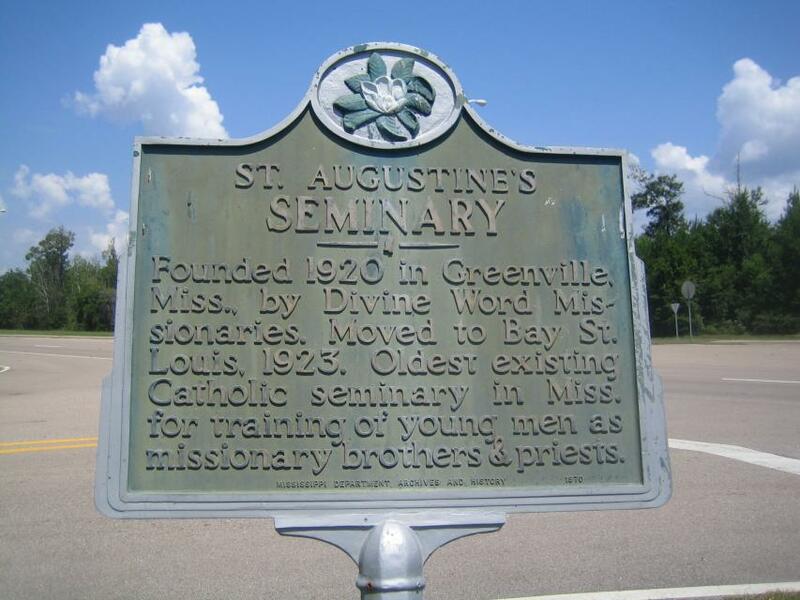 Oldest existing Catholic seminary in Miss. for training of young men as missionary brothers & priests. This marker can also be identified by its HM code. You can use the hashtag #HM1JAZ in tweets, and any other place where you might refer to this marker, including when searching on this site.